An elevated mile-long park has been unveiled for Shenzhen, China. 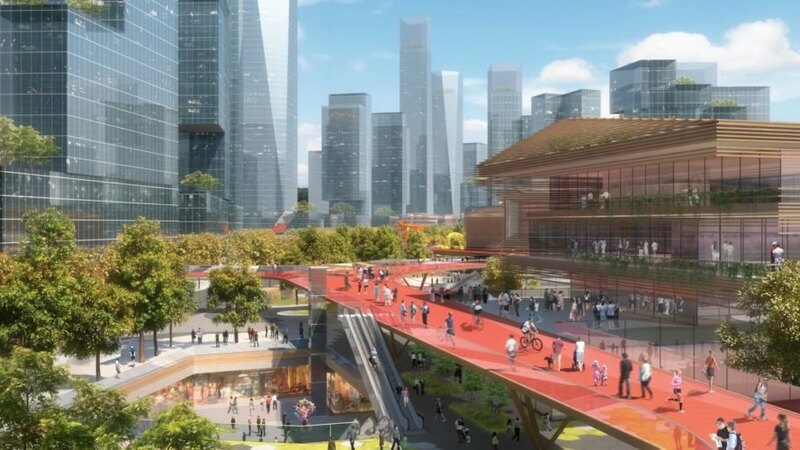 Envisioned as a “meandering skydeck,” this “boulevard in the sky” is part of HASSELL’s competition-winning masterplan for a mixed-use precinct within the new Qianhai business district. Flanked by greenery and overlooking views of the city, this elevated walkway will serve as an uninterrupted cycling and jogging path linking together cultural destinations across a new lushly planted greenway. The Qianhai Mawan Mile comprises three main layers in 3.36 hectares of green space with over a hundred programmatic features. Whereas the skydeck above serves primarily as a circulation route and exercise area, the ground level greenway will be split into a variety of passive and active zones with gardens, children’s play areas, group exercise spaces, and piazzas with cafes as well as performance venues and art installations. A major entertainment precinct will be placed below ground with direct access to multiple metro concourses. 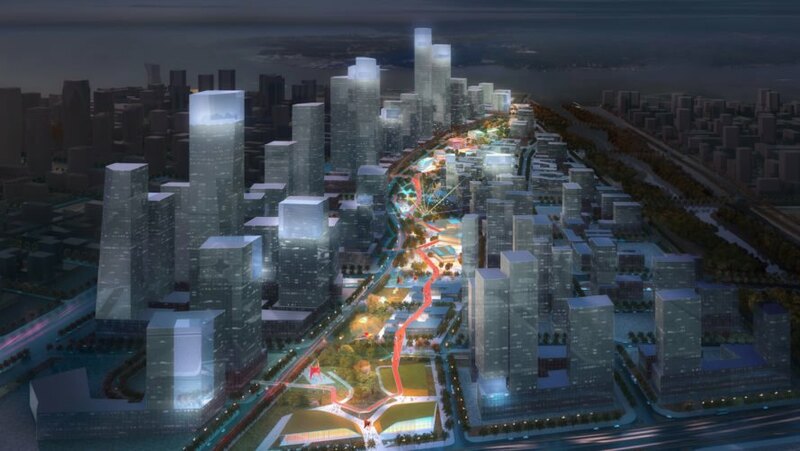 A new cultural district with three pavilions will anchor the Qianhai Mawan Mile’s south end. 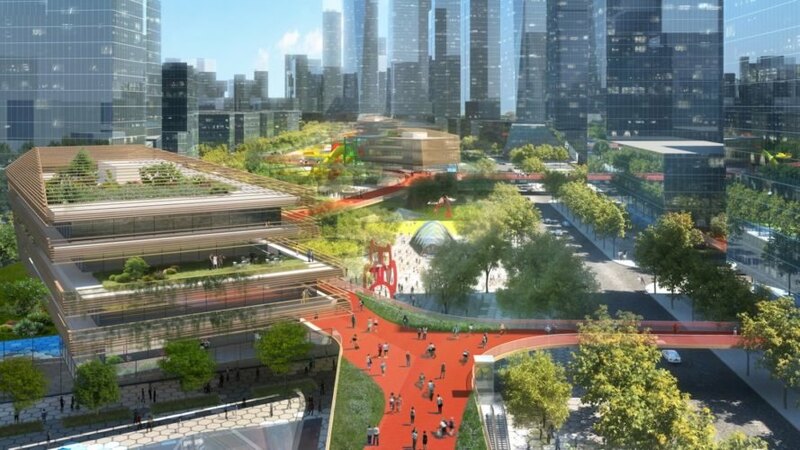 Building on the success of elevated park projects and greenways around the world, the Qianhai Mawan Mile will be a multifunctional public space promoting the arts, retail, and public health. 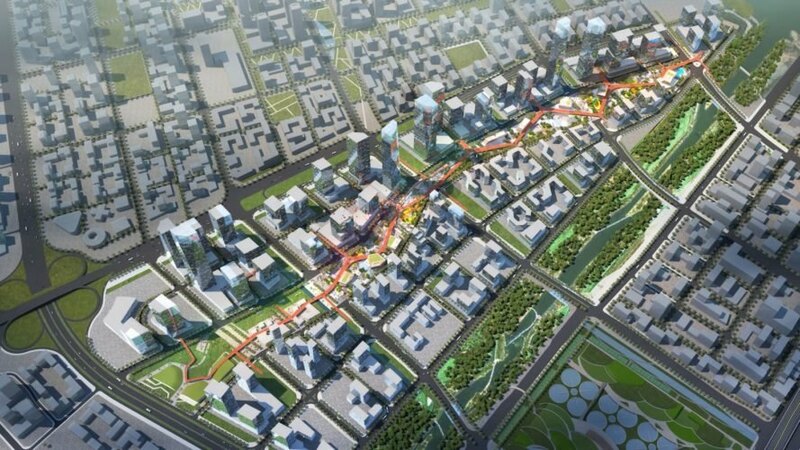 The Qianhai Mawan Mile comprises three main layers in 3.36 hectares of green space with over a hundred programmatic features. Whereas the skydeck above serves primarily as a circulation route and exercise area, the ground level greenway will be split into a variety of passive and active zones with gardens, children’s play areas, group exercise spaces, and piazzas with cafes as well as performance venues and art installations. A major entertainment precinct will be placed below ground with direct access to multiple metro concourses. A new cultural district with three pavilions will anchor the Qianhai Mawan Mile’s south end.